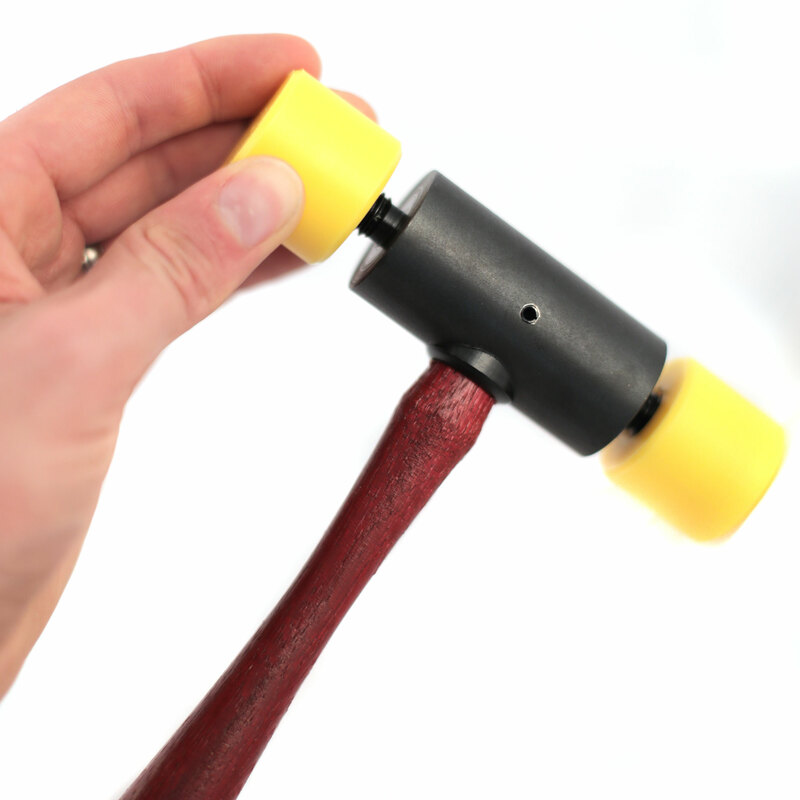 The Replaceable Tip Hammer is one of our most popular products. The hammer head is made of metal and has threaded studs for plastic screw-on tips. The hammer is fitted with a straight-grained hickory handle that is attached to the head with plastic bushing in a blind hole, eliminating the possibility of the handle loosening due to atmosphere changes. The assembly is firmly cross-pinned with a removable steel spring pin. Shop our selection of Replaceable Tip Hammers now.